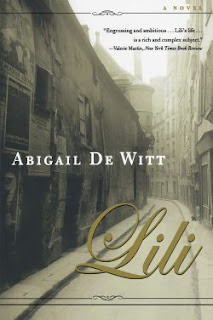 Abigail DeWitt is the author of the new novel News of Our Loved Ones. 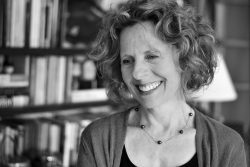 She also has written the novels Lili and Dogs, and her work has appeared in a variety of publications, including Five Points, the Alaska Quarterly Review, and Witness. She lives in North Carolina. Q: You write that the story you tell in News of Our Loved Ones was inspired by your own family history. At what point did you decide to write the novel? A: For a long time, I’d thought about writing the story of my aunt who died on D-day and the story of my great-uncle who was saved by his own painting. I did write those stories, and then, a while later, I was drawn to write the story of the half-American girl walking on the beach. I began to see how the three stories were connected, so I thought of writing a collection of linked stories, but the more I wrote, the more I saw that the meaning of each story depended on all the other stories and that what I was writing was a novel with multiple points of view. I never know what I’m writing until I write it, so in that sense it’s not exactly a decision. I begin by following a character and seeing where that character leads me—it could be into a novel or a short story about that character, or it could be into a novel or story about a completely different character. The original character could turn out to be simply a character who “introduces” me to someone else. My best writing begins as an improvisation; there’s always some mystery to the process, but it’s the mystery that fascinates me. Q: What did you see as the right blend between the fictional and the historical as you wrote the book? 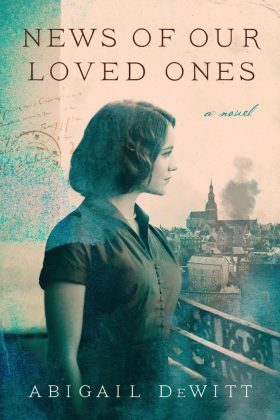 A: Certain facts of my family’s history are central to this novel: the fact that my mother happened to be in Paris when her family home in Normandy was bombed, and the fact that I was raised both in France and in the U.S. Still, this is first and foremost a work of fiction. In part, that’s because I wrote from multiple points of view, which meant imagining and inventing what various characters were thinking and feeling. I studied acting a long time ago, and I love the sense of becoming someone else. Writing fiction often starts for me as a way to explore parts of my psyche that I might not want or be able to act on in real life, but ultimately it leads me to forget myself and empathize with other peoples’ experiences. 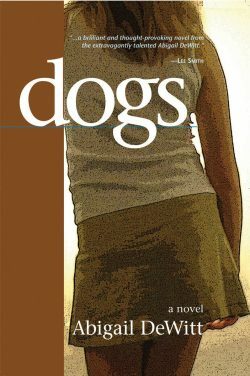 I also wanted this to be a work of fiction—once I realized it was a book at all!—because I wanted to shine a light on a very particular set of circumstances separate from their larger context. In real life, my mother was a ground-breaking theoretical physicist, who came to the U.S. after the war at Robert Oppenheimer’s invitation, and who returned to France every summer because she ran a physics institute in the French Alps. The story of my mother’s professional life is a remarkable one and I am thankful that American historians are writing about her and she is finally getting the recognition in the U.S. that she has long had in France—recognition she was denied here for many decades because she was a woman. But for me, my mother was simply my mother, and her war stories were more interesting to me than her physics. I wanted to write about the mother-daughter bond, about the ways she had been traumatized by the war, about the way war never ends. If I had included her actual career in this book, it would have taken the story in a different direction. Instead of physics, I gave her a violin and a lover, and as soon as I did that, she became someone very different from my sweet, tone-deaf, deeply nerdy and deeply brilliant mother. Part of the reason I love writing fiction is because of the fidelity it demands to one’s imagined characters. If you take a real-life person as your model and simply change the way she looks, you’ve changed the course of her life. You have to follow what the fictionalized character reveals to you, rather than what might have been true for the original model. I love the surprises that follow from that and the way those surprises force me to subsume any agenda I might have to the truth of each character. Q: Did you need to do a great deal of research, and did you learn anything that especially surprised you? A: Because I grew up riveted by my mother’s war stories and because I was born in 1959, when the war was still fresh in every French person’s memory—and also because this is a novel less about events than about the psychological impact of those events—I didn’t need to do a great deal of research, although I did go to Caen, the city in Normandy where my mother’s family was living during the war. After D-day, no one in the family ever lived there again, and I wanted to get a sense of the way Normandy feels—how things smell, what the sky looks like, whether it’s hilly or flat. The beautiful city my mother had known was largely destroyed on D-day, and what has replaced the ancient homes and shops are acres of faceless, grey, concrete buildings, but on the edge of the city, there’s a wonderful war museum. Much of it is underground and it is laid out in such a way that you begin to feel what it might have meant for the entire world to be a war—the sense of no escape. Q: You write from a number of different characters' perspectives, and the story spans many years. Did you write the book in the order in which it appears, or did you move things around? A: The first chapter is the first section I wrote, but after that, nothing appears in the order in which it was written. I always go through many, many drafts and with each draft of this book, I ended up re-arranging the chapters. Both Alexa Stark, my agent, and Laura Brown, one of my editors at Harper, helped me a great deal with the novel’s structure. A: I’m writing another continent- and generation-spanning novel, but this one will be very different from News of Our Loved Ones. One of the central characters is based on a “horizontal collaborator” from the video in the war museum in Caen; another is an American woman from North Carolina who is forced to abandon her daughter. I tend to start with things that are pretty dark and try to discover some light in them. It’s always the unexpected redemption that moves me, but for the redemption to be genuinely surprising, the starting point has to be genuinely dark. I never know what will redeem a character or a story, but I go on faith that there will be something, and I love the resulting tension between light and dark. A: My friends and family tell me I should write something funny, because in real life I make them laugh. But I’m not always intending to be funny, so I’m not sure how to pull that off!